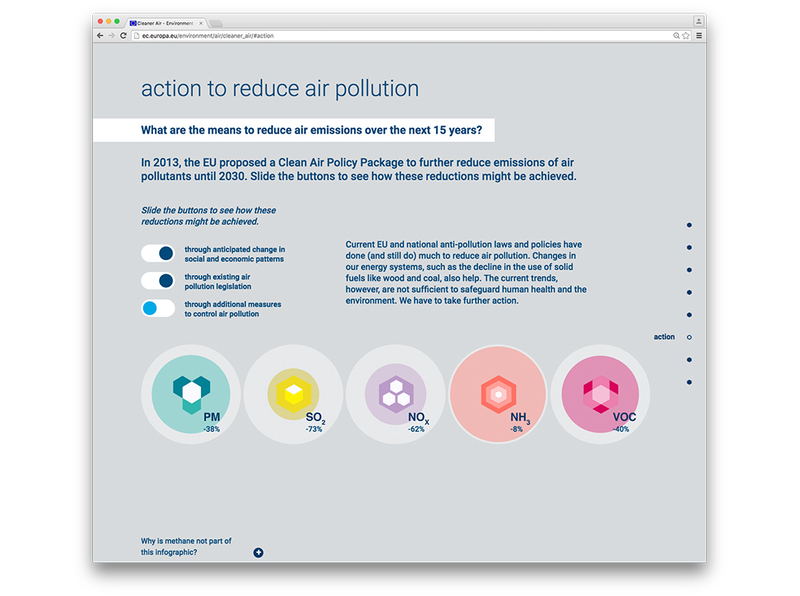 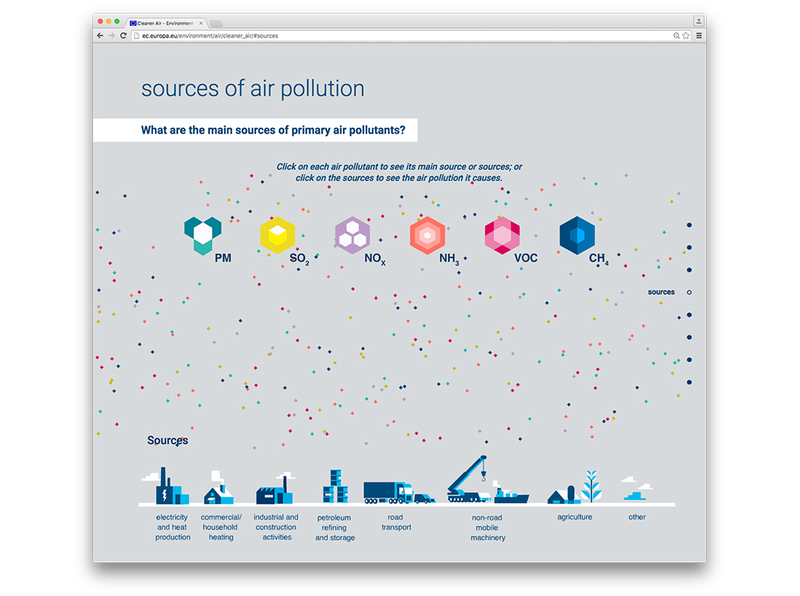 This interactive infographic shows how the European Commission proposes to address air pollution in Europe. 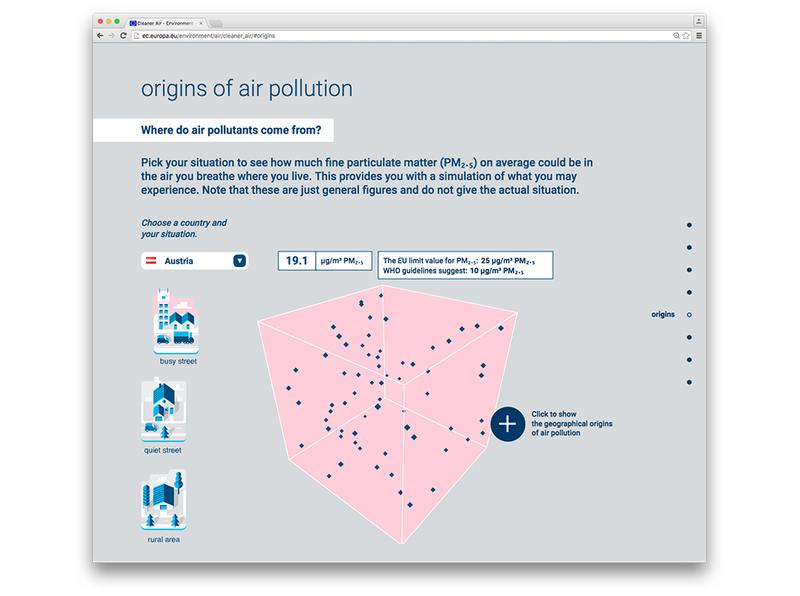 It illustrates how a visualization can help to provide insight into complex information. 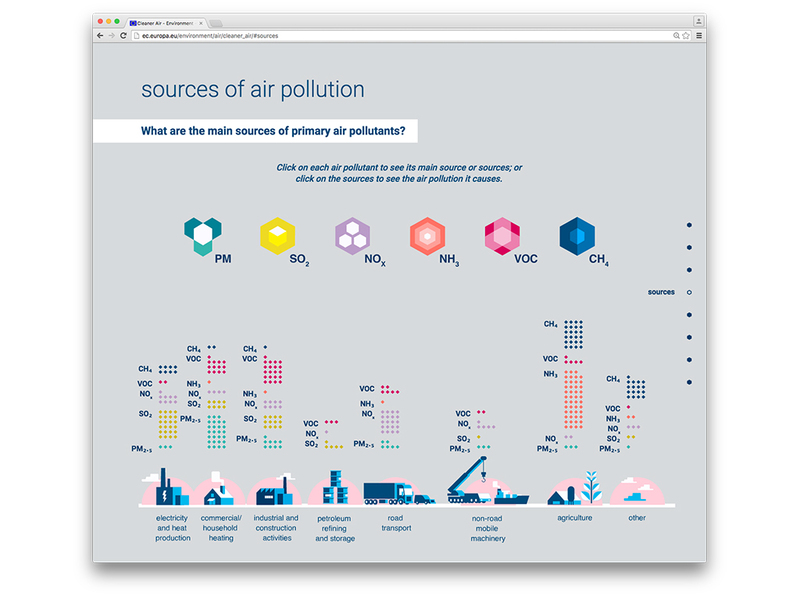 The infographic serves as an instrument to explore what air pollution is, its effects on health and the environment and its main sources. 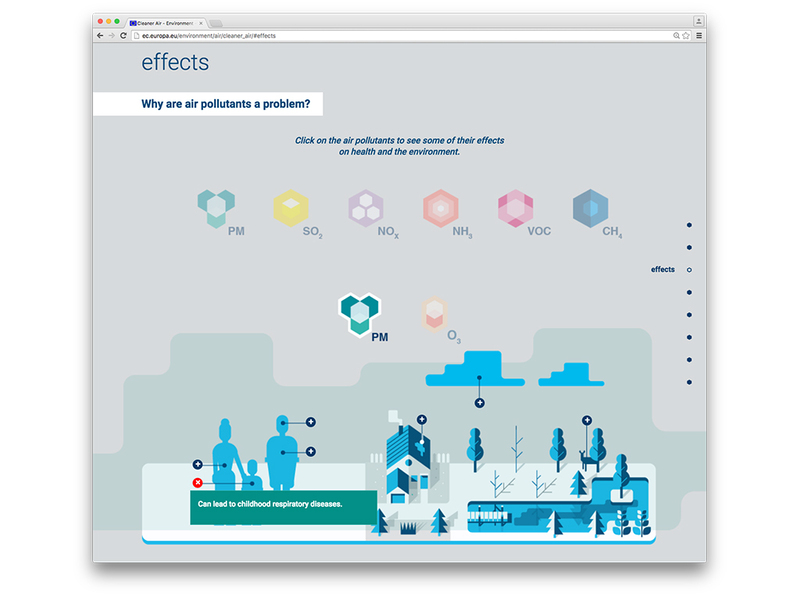 It also provides simulations of the amount of air pollution per country, the effects of the EU proposed reductions and the benefits of taking action. 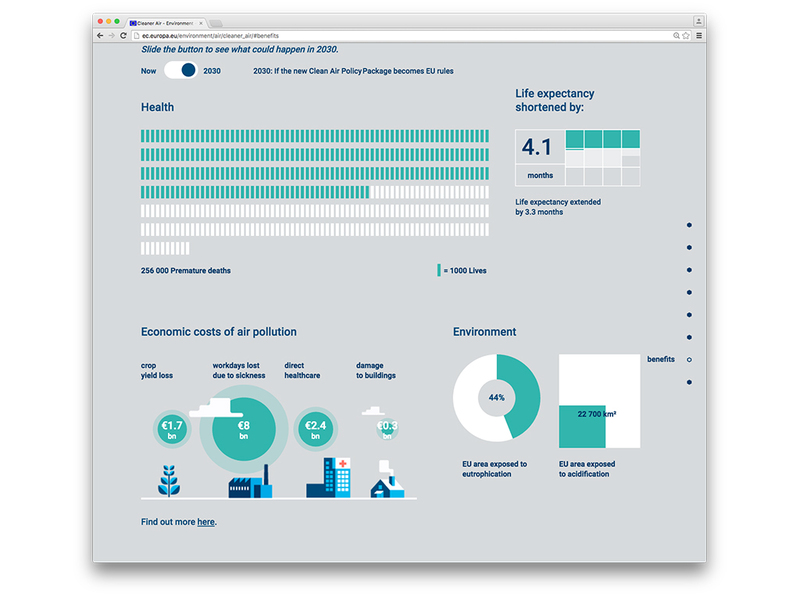 This visualization was developed in 2015 for the European Commission by the Schwandt Infographics team (Roel de Jonge, Leon de Korte, Joris Tideman) in collaboration with ESN (Ahmed El Amin) and Innouveau (Jeroen Breen).